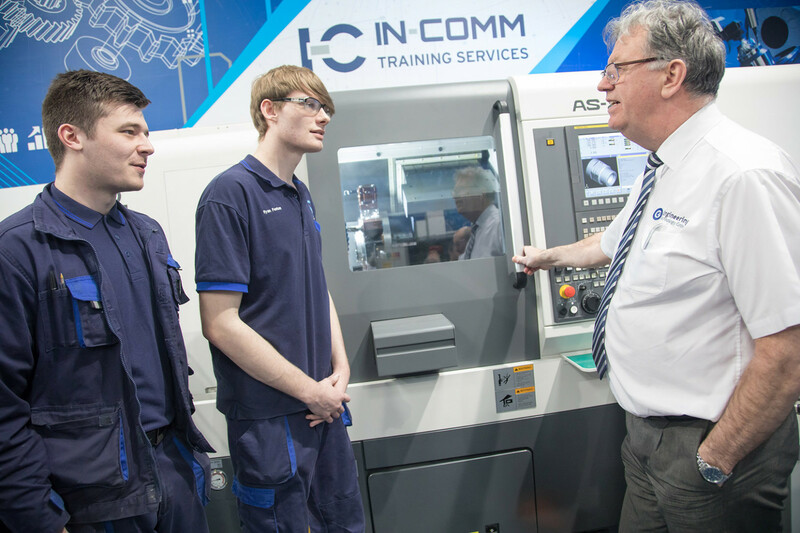 In-Comm Training is staging a special open day this weekend to showcase its facilities to parents and young people interested in signing up for a place on one of its apprenticeship courses. The Open Day takes place on Saturday February 9 at the company’s head office at Vigo Place, Aldridge between 10am and 2pm. Visitors will have the opportunity of touring the company’s multi-million-pound engineering academy where they will learn about the different apprentices on offer. They will be able to chat to some of the tutors and current apprentices, as well as speak to some of the In-Comm recruitment team. Visitors will also have the opportunity of trying out some of the state-of-the-art machinery for themselves, as well as the chance to register for one of the courses and start the application process. Finding a way to leverage the best of industry and academia has helped In-Comm Training cement its position as one of the UK’s leading training providers. The company, which supports more than 500 apprentices every year, was last year named the winner of the Black Country Chamber of Commerce’s Education and Partnership Award, which was sponsored by the University of Wolverhampton. Judges were impressed by how the company had managed to create three state-of-the-art training facilities by leveraging the technology and expertise of more than 20 local employers. In-Comm Training, which was recognised by Ofsted as ‘Outstanding, operates Technical Academies at Aldridge and, under the banner of The Marches Centre of Manufacturing & Technology (MCMT), at Bridgnorth and Shrewsbury. In addition to supporting apprenticeships, the company also works with 450 employers on a host of upskilling courses and consultancy support in continuous improvement, leadership and management, health and safety and securing quality ccreditations.